Pin It The second challenge we have been set for the Kidspot Ford Territory Top Bloggers Competition is to post at least 6 photos of how the Ford Territory takes you a round in your daily life, taking where you want and need to go. This is just an ordinary Saturday around this joint and is a day familiar to families all over. The usual Soccer, Karate, Beach, Shopping and Parties. 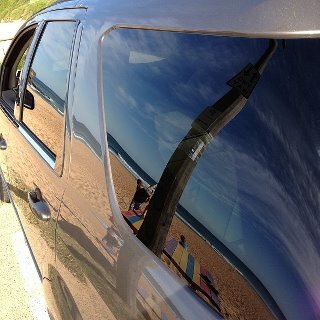 Ordinary stuff made extraordinary by getting around in this gorgeous Ford Territory. Its no surprises here since I have no self restraint, that I have a few more than 6 photos and a video. I actually thought twice about posting my video after seeing BabyMac's as mine totally lacks all the sleek style, editing skill and finesse that Beth's awesome video possesses. 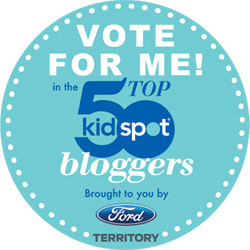 Don't forget you could be the winner of $5000 bucks by voting for your favourite Blog in the KidSpot Ford Territory Top Blogger Competition.